2-bedroom apartments knocked into one large one? So we completely renovated the property to reduce the mirroring of rooms and produce a single home that looked as if it had been designed that way. 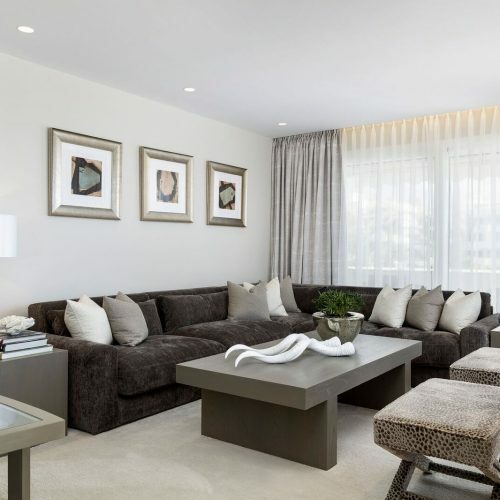 Neutral tones and soft, opulent fabrics help to create a true sense of comfort, style and luxury.